Snowbasin Resort is one of the oldest continuously operating ski areas in the nation. Ever since the first hearty skier schussed down our slopes in 1940, people from all over the United States have come to enjoy our exhilarating powder snow and majestic mountain scenery. The history of Snowbasin and the US Forest Service is a story of discovery, restoration and conservation of this unique and bountiful area as a special place of beauty and adventure. The Ute and Shoshone tribes that first inhabited this bountiful area cherished it for its plentiful wild game in the mountains and fresh fish in the numerous rivers and streams. In the 1820s, white trappers discovered an abundance of beaver and set up residence alongside the native tribes. The Ogden area was soon home to a number of colorful historic figures like Jim Bridger, Kit Carson and Jedediah Smith. The area was named after the Canadian-born mountain man Peter Ogden, a legendary character who freely shared information and directions with pioneers and settlers. The first known construction project along the Weber River was a home and stockade built by Miles Goodyear. He dubbed it “Fort Buenaventura,” meaning Fort Good Fortune. By 1846, the area had grown into Utah’s largest rendezvous site, attracting trappers, traders and explorers from all across the West. Fort Buenaventura became a frequent stop for wagon trains, and it wasn’t long before homesteads were established in the basin. The popularity of the region soon began to take its toll on the land. Herds of grazing cattle and aggressive timber harvesting had stripped the once lush valley bare of vegetation. Yearly rainstorms began carrying small debris floods down the foothills, destroying property and compromising water quality. It culminated on August 13, 1923 when a heavy downpour caused a flash flood, which in its awful fury, took lives, homes and businesses. In the wake of the flood damage, Ogden residents determined it would never happen again. Concerned citizens formed the Weber County Watershed Protection Cooperative to educate land owners about the importance of conservation, and between 1940 and 1945, Ogden City, Weber County, the Ogden Rotary Club and the Ogden Chamber of Commerce bought and transferred almost 5,000 acres in Wheeler Basin to the Cache National Forest for restoration and protection — they wanted the area to become a year-round recreation destination that would draw visitors from all over the United States. In 1938, ski pioneer and Forest Service recreation advisor Alf Engen and several other Forest Service employees hiked into Wheeler Basin and determined that it was an excellent location for a ski area. 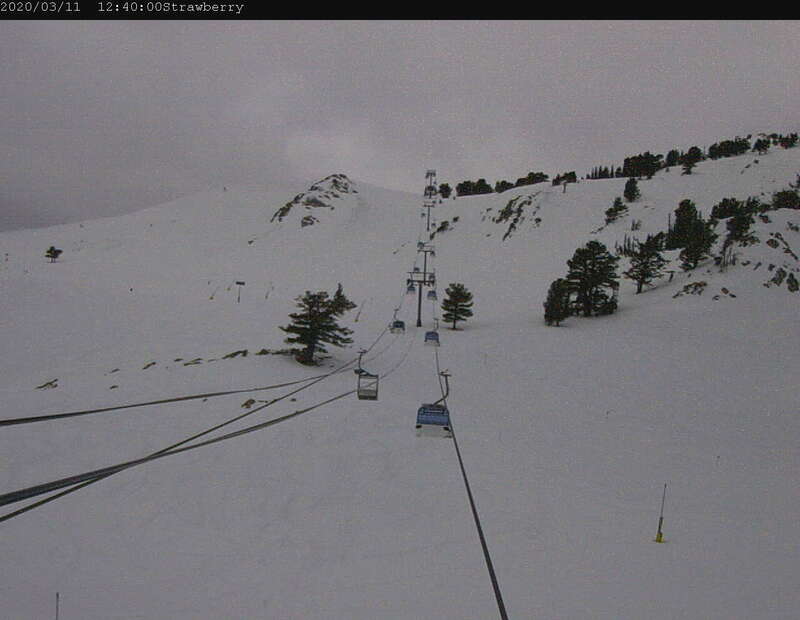 A contest was held to name the new ski area. Imagining a natural basin filled with winter snow that would melt into clean, pure drinking water, Geneve Woods won the contest with her entry, “Snow Basin.” Soon, Snow Basin had earned the reputation of, as one local reporter called it, “a huge public playground.” Snow Basin’s first ski tow was in operation by 1939. 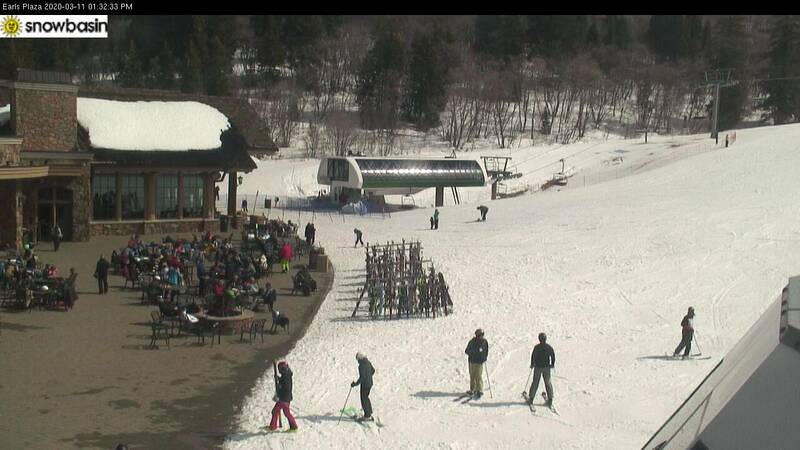 As word of Snow Basin’s pristine powder spread, the area began attracting more and more visitors. In 1940, Engen and the Forest Service supervised a Civilian Conservation Corps (CCC) crew in building an access road to the resort. On November 27, 1940, the Mayor of Ogden declared the “Ogden Snow Basin winter playground” officially open. 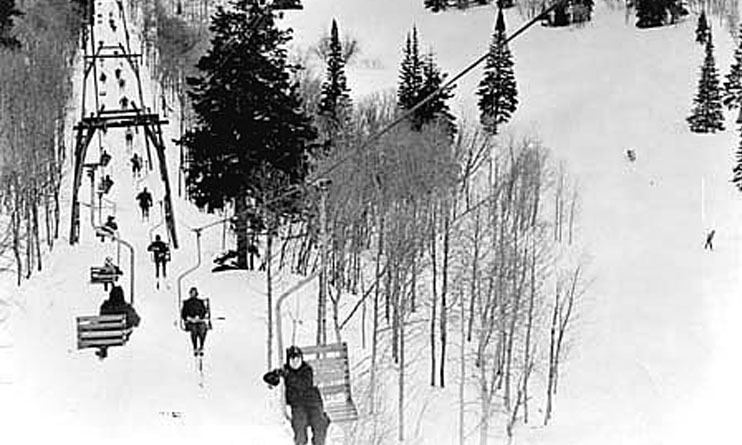 Snow Basin hosted its first ski race in December 1940, attracting 75 racers. The following year, Engen and the CCCs cut more ski runs, including the very steep run off of Mt. Ogden that is now part of the 2002 Olympic downhill course. Sverre and Corey Engen opened Snow Basin’s first ski school in 1941. Construction of the mile-long Wildcat chairlift began in 1941, but was halted with the advent of World War II. The Forest Service closed the ski area for the duration of the war and reopened it in 1945. The Wildcat chairlift was completed and dedicated in 1946. Recreation skiing grew rapidly after WWII thanks in large part to the energy and enthusiasm of the veterans of the 10th Mountain Division. During the War, these soldiers, specially recruited for their expert skiing abilities, wore white camouflage uniforms and were mounted on skis. They were able to move swiftly and quietly through forests deep in snow where enemy troops — unprepared for winter warfare — could not follow. Nearly 1,000 soldiers of the 10th Mountain Division lost their lives in WWII, including Ogden native John Paul Jones. Jones lost his life in the Battle of Belvedere in Italy where the 10th prevailed and was the first Allied unit to cross the Po River. The John Paul lift at Snow Basin was named after John Paul Jones, who had learned how to ski at Snow Basin and had a special love for the area. 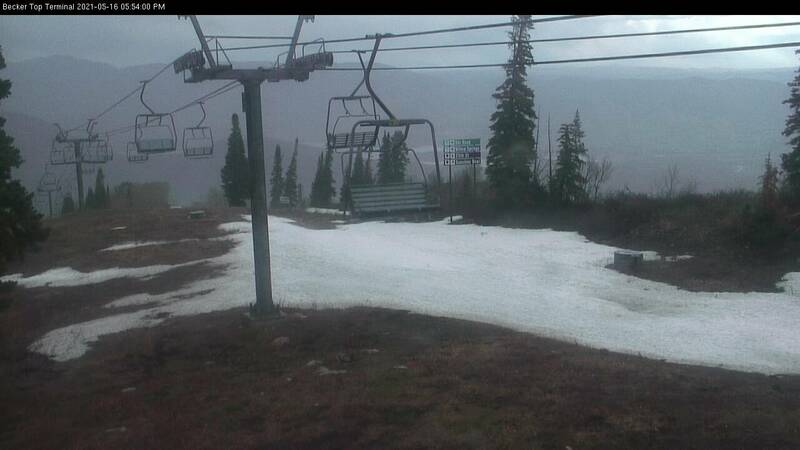 Snow Basin continued to operate through the 1950s with few improvements to the ski area. In the early 1960s, the Glendale Inn Lodge was constructed on the site of the original Forest Service shelter, the Porcupine chairlift replaced a ropetow and the Wildcat double chair lift was completed. Through the 1970s and early 1980s, Snow Basin changed ownership several times, and new owners changed the official name of the resort to “Snowbasin” in 1978. Snowbasin was significantly improved in 1979 with the construction of the Middle Bowl triple chairlift and a 2,700 square-foot expansion of the day lodge. The Holding family purchased Snowbasin in 1984 and still own it today. The Snowbasin Master Development Plan was revised in 1985 to include the development of a destination four-season resort and a land exchange with the Forest Service. The environmental impact study of the plan began in 1989 and took nearly two years to complete. During this time, the Trappers Loop road was constructed connecting Huntsville to Weber Canyon, making Snowbasin one of the easiest resorts to reach from the Salt Lake International Airport. In 1995, Salt Lake City was awarded the 2002 Olympic Winter Games and Snowbasin was chosen as the venue for the men’s and women’s downhill, super G and combined races. The United States Congress passed the Snowbasin Land Exchange Act in 1996 as part of the Omnibus Lands Bill. In addition to mandating the exchange of National Forest System lands to Snowbasin, the Act identified a set of projects that were deemed necessary for the resort to host the Olympic competitions. On May 23, 2000, the land exchange was completed, transferring 1,377 acres of National Forest System lands at the base of the resort to Snowbasin and 11,757 acres of private land in northern Utah to the Wasatch-Cache National Forest. 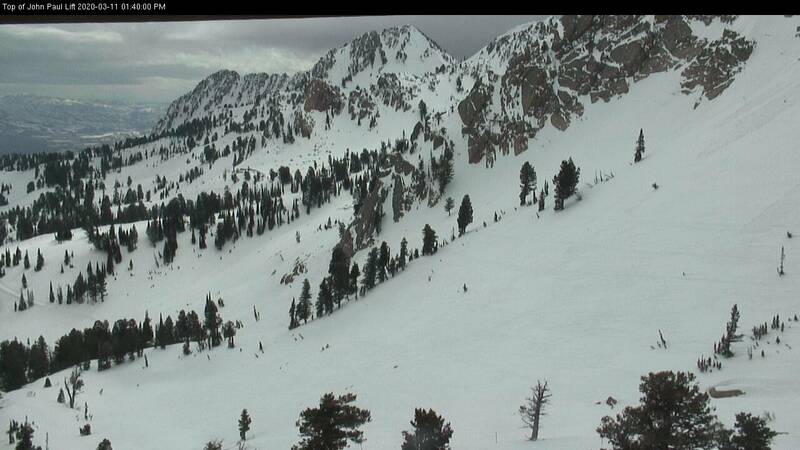 Approximately 60 percent of Snowbasin Resort remains on the National Forest. During Olympic venue construction, Snowbasin and the Forest Service considered the environment their first priority, protecting soil, water quality, wetlands, wildlife and aesthetic values. This was accomplished by avoiding sensitive areas whenever possible, insulating them from construction impacts when it was not and restoring the original functions and qualities where impacts to the land and water could not be avoided. 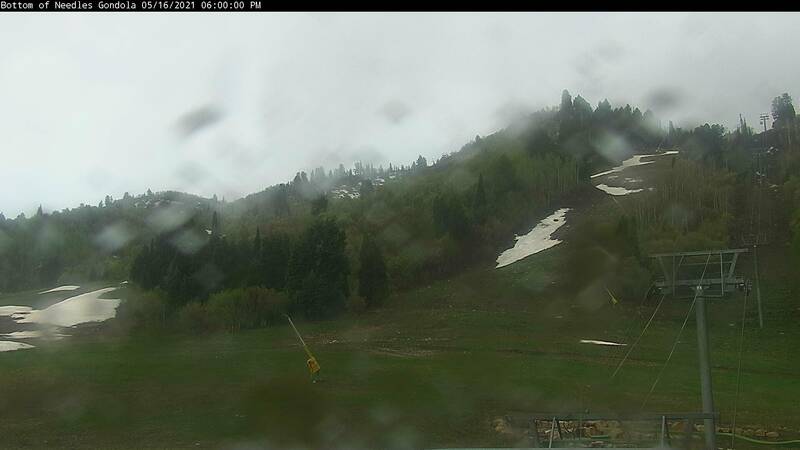 On June 25, 2004 Snowbasin Resort took one more step toward the goal to become a four-season resort when it opened for its inaugural Summer Season. The success of the season was immediately evident. The Blues, Brews & BBQ Free Summer Concert Series has become a Sunday afternoon must for many locals. As the area continues in its tradition as a gathering place for all people, Snowbasin Resort and the Forest Service will continue to move forward, ensuring that this area remains a place of beauty, healthy natural resources and recreation for people of all ages for many years to come. Snowbasin Resort will be enjoying its 76th Anniversary during the 2016-17 winter season.